Portfolio items make users on Clutch more likely to click the "visit website" button on your profile. Log into Clutch through your user account. In the upper right-hand corner, scroll over your name/username. In the drop-down menu, select "Portfolio." 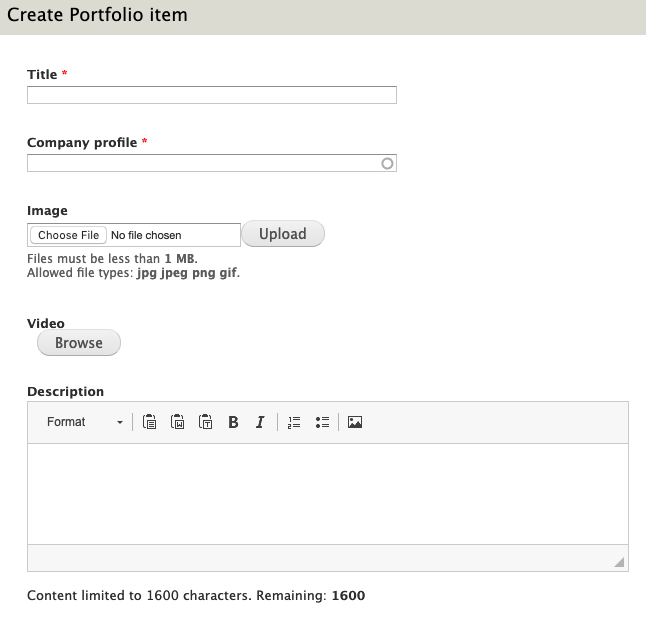 Select the "add portfolio item" button. Upload an image or video. In the "Title" field, add the name of the client or project. In the "Description" field, describe the project in 1600 words or less. Describe outcome of project using hard data. Use qualitative descriptions if hard data is not available.